The metric version of the circular connectors plays an important role for industrial termination techniques. Their termination type usually results from their shape and metric dimension. The best known representatives here are the M8 and M12 sizes. The circular connectors use different coding to carry out their power supply or data interface tasks. While the classic variant has a screw cap, HARTING has configured its M12 connectors with a more modern and fast PushPull locking mechanism. The M12, originally a connector with a screw-on lock, has already been used successfully for two years by HARTING as a PushPull variant for transportation applications. 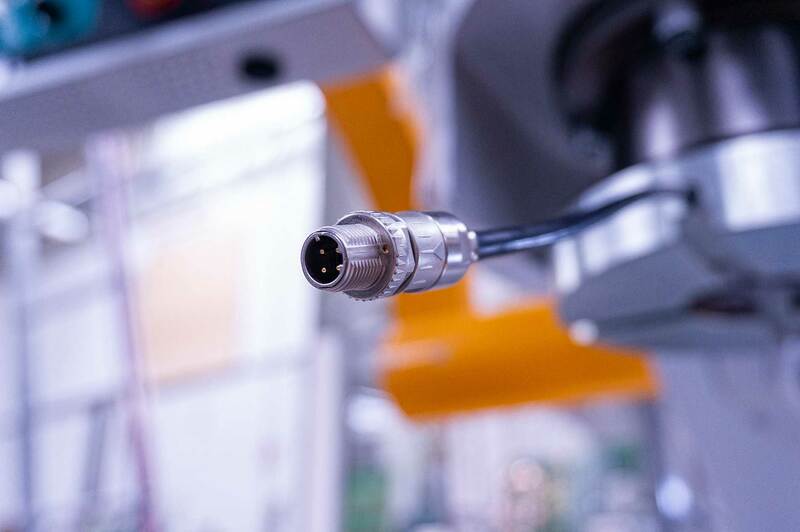 This success has proven the strategy of the German connector specialist, so that HARTING now provides the entire M12 round connector portfolio with PushPull compatibility. This innovation is helping connectors, sockets, panel feed throughs, PCB connections and other M12 components to take a big step towards the future. Fitters and service personnel will soon enjoy the advantages of PushPull connectors in their work with circular connectors. An audible click during the tool-free assembly process signals that a correct connection has been established. The assembly density (for example on switches) can also be significantly increased. Thus, HARTING is supporting the I4.0 trend towards miniaturisation by meeting the demands of device manufacturers whose housings continue to shrink. In order to avoid creating another stand-alone solution, HARTING has continually relied on international standards for our designs and innovations. Only common standards can provide the customer with investment security and create the foundation for uniform, reliable connectivity and termination techniques. This is why HARTING gets together with other industry players in the IEC consortium to agree on future standards. Here, HARTING's M12 PushPull from Espelkamp made the best impression and was able to prevail as the future standard. M8 (M8 D-coded), M12 and 7/8"